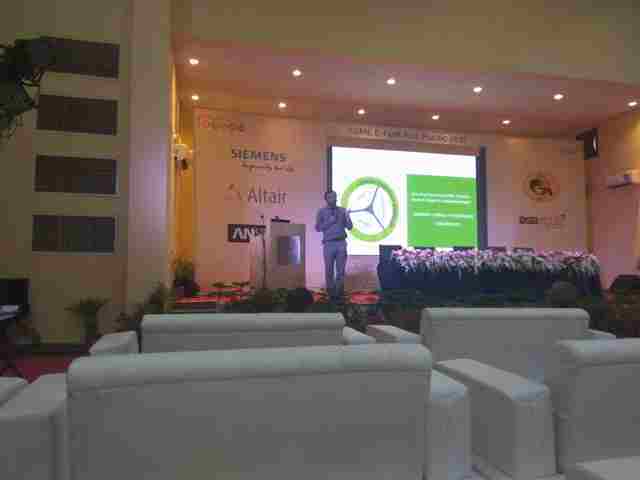 Day 2 of ASME E-Fest Asia Pacific just got completed at LNMIIT Jaipur, the host of one of the world’s largest technical festivals. The festival, going by the name of E-fest Asia Pacific under the banner of ASME is being held from March 3 to March 5, 2017. Day 2 of ASME E-Fest Asia Pacific just got completed at LNMIIT Jaipur, the host of one of the world’s largest technical festivals. The festival, going by the name of E-fest Asia Pacific under the banner of ASME is being held from March 3 to March 5, 2017. ASME (American Society of Mechanical Engineers), an international organization has this year, given an opportunity to LNMIIT to host its brand value festival E-fest in Asia-Pacific region other than two occurring in United States. The American Society of Mechanical Engineers (ASME) is a professional association that, in its own words, "promotes the art, science, and practice of multidisciplinary engineering and allied sciences around the globe" via "continuing education, training and professional development, codes and standards, research, conferences and publications, government relations, and other forms of outreach.” ASME is thus an engineering society, a standards organization, a research and development organization, a lobbying organization, a provider of training and education, and a non-profit organization. Founded as an engineering society focused on mechanical engineering in North America, ASME is today multidisciplinary and global. From hands-on design competitions and Hackathons to tire-side chats with practicing engineers, plus social activities and entertainment E-fest has it all. Built around design, advanced manufacturing and robotics technologies, this three day, two-night regional event enables engineering students to expand their knowledge, fest and showcase new skills and inspire innovation. This E-fest will be conducted at three places around the globe, two in US and one in India at LNMIIT, Jaipur going with the name ‘E-fest Asia Pacific’ and is the first of the three to be conducted. ASME E-Fest '17 will bring the youths from across the globe to a single platform to battle on. Dignitaries from different nations will be here to spread their words of wisdom among these youths. ASME E-fest Asia Pacific is a platform for students spread across the globe, to have battle of creativity, a battle of nuts and bolts and a battle of smart and accurate designs. Students preparing themselves for competitive events and jostling their minds into them was a sight to behold. The competitive events commenced with HPVC: Human Powered Vehicle Challenge, where participants showcased their motor and mechanical skills to operate a self-made vehicle through manual power. 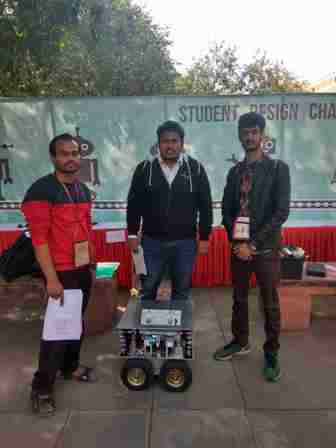 It was followed by the IAM3D Challenge (Innovative Additive Manufacturing 3D Challenge), which gave participants opportunity to re-engineer existing products, allowing students to demonstrate their creativity. Next in line was SDC (Student Design Competition), which provided participants a platform to present their solutions to a range of design problems. It was followed by Old Guard Competitions, which was categorised in two – Old Guard Oral Competition, and Old Guard Poster Competition. And the last, but not the least, Robothon, which emphasised on encouraging critical thinking amongst participants. Mr Deepak Ghadia, Chief Mentor at EnerSun Power Tech Pvt. 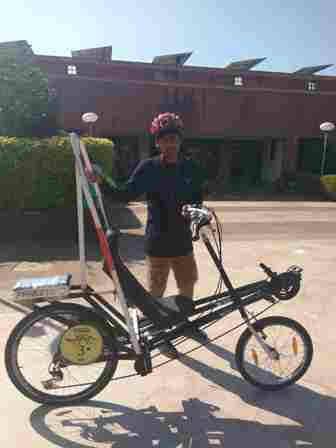 Limited, in which he discussed about Solar Energy. Mr Sunny Waghela, founder of and director at TechDefense Consulting, in which he spoke about Emotional Intelligence. Mr Saurabh Dalela, Associate Vice President at JCb India, in which he talked about Leadership. Mr Prashant Dhawan, Founder Biomimicry Network India, in which he spoke about Biomimicry. Dr Mukesh Agarwala, Managing Director 3D Product Development, who discussed Future of Additive Technologies: Demystifying 3D Technologies. Night two of the music festival continued! The country’s best band Euphoria, provided tech-freak enthusiasts a taste of the vivid art of music, from soft-soothing to rock-crazy style. The night concluded with breath-taking fireworks which embroidered the sky like fireflies in the night. Disclaimer: The information provided in this Notification is solely by LNMIIT Jaipur., Jagranjosh.com bears no representations or warranties of any kind, express or implied, about the completeness, accuracy, reliability, suitability or availability with respect to the information. Individuals are therefore suggested to check the authenticity of the information.